FOD custodian Lucille Talbert often reflects on the fateful day she decided to make a change for her own health and well-being. 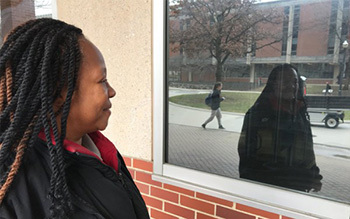 It was 2015 and Lucille caught a glimpse of her own reflection in the campus windows she works hard to clean. The person she saw looking back was not the picture of health she now sees. Read More.